Come out for an amazing night of great music, art displays, vendor booths, children's crafts, and so much more! 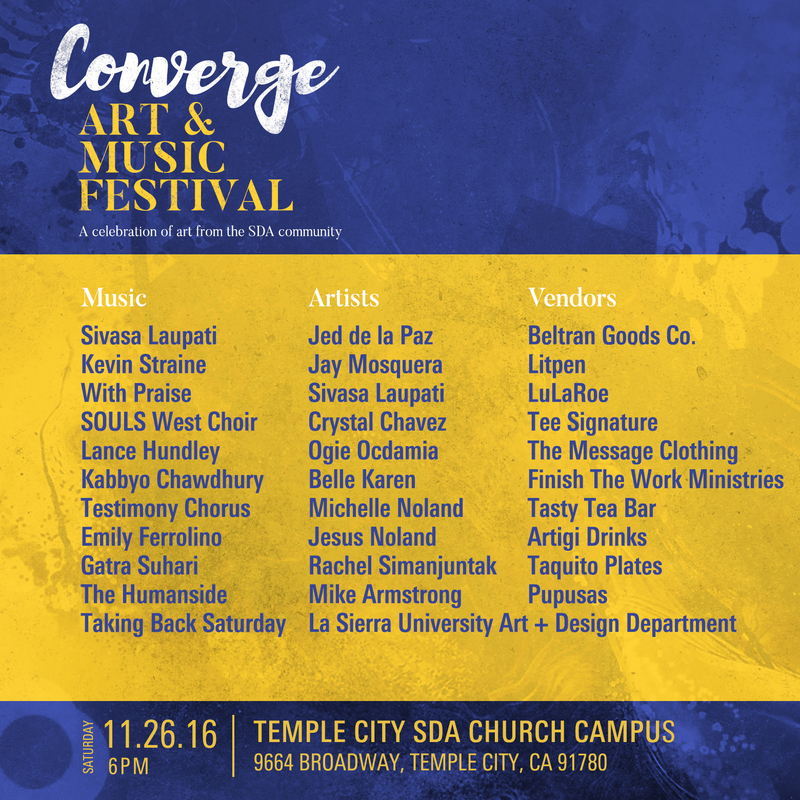 Following a successful opening, the Converge: Art and Music Festival returns as an opportunity for artists, musicians, and vendors within the SDA community to showcase their talent to not only the church community as a whole, but also to the community at large. The event is family-friendly and admission is free! Save the date! !